In the young business of corporate law, the role of gender is slipping away from the transaction tables. Thanks to the pioneering work of some women lawyers, others now inch up the ladder at the same pace as their male counterparts. They are not ornate additions to the firm’s brochure, but stand out for working the same long and intensive hours that a corporate law practice requires. Corporate law practice is slang for a non-litigating practice in laws dealing with corporate bodies, including contracts, company law, securities law, project finance, mergers and acquisitions, labour, property and so on. The corporate lawyer is a relatively new animal, which has found flight largely since liberalisation. Most Indian law firms had a large law practice in the courts, but adapted to the new jobs and possibilities. In fact, many found it far more profitable than litigation. Like the rest of the profession, it remained a male bastion for long until some pioneering women broke through the discrimination barrier. Zia Mody grit her teeth and flashed past prejudices with her brilliant mind and hard work. So did Priti Suri, who once kneed a man for trying to get fresh with her. Some have turned a blind eye to the blunt sexism, while others have been helped by their bosses. There are a fair number of second- and third-generation lawyers today. Mody’s father is jurist Soli Sorabjee. Seher Ali’s great-grandfather was the late Justice Sayyid Fazal Ali, one of the six judges who made up the first Supreme Court of independent India; her late grandfather, Justice Murtaza Fazal Ali, was also a noted Supreme Court judge. The view from the 14th floor of Hansalaya building on Bara­khamba road in the heart of New Delhi is formidable, as are its occupants in the law offices of Priti Suri and Associates. The leader of the law firm says she has made weekends compulsorily off in her office. “If you come on a Sunday, be prepared to climb up the stairs to the 14th floor,” says Suri. A closer inspection of the mail server traffic on weekends might tell a different story. “She works 24x7,” pipes up her colleague Shalini, who has been with Suri for more than 20 years. The last “pleasure-travel” vacation Suri took was in December 2013, despite a solemn resolve to slow down. At 10, Suri decided she would be ­India’s ambassador to Russia and after a bachelor’s degree in history from Lady Shri Ram College, she started preparing for the civil services exam and took up law at the Campus Law Centre in Delhi University, “only as a Plan B”. Suri applied for a masters in law abroad and was accepted by several Ivy League schools, but had to scrap the plans because her family could not afford the exorbitant fees. So she spent the first two years of her career in a lawyer’s chamber. During that period, she used to save on bus fares by cutting down the required multiple bus journeys to the Delhi High Court to a single bus ride and a longer walk. 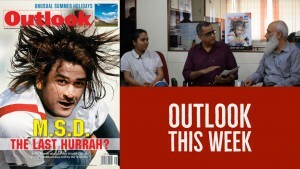 A lawyers’ strike—triggered by Kiran Bedi’s infamous handcuffing of a lawyer in 1987—shook Suri’s faith in the system. She applied for a masters programme again and, while she was accep­ted again at several Ivy League colleges, she chose the University of Georgia School of Law, Athens, which granted her a scholarship. This was followed by a nine-year stint in the US and France, where she would walk along the Champs-Élysées on weekends just to listen to people chatter in English as she did not know French initially. Suri, reputed to be as much a nitpicker as Mody, says she learnt accuracy early on. “Lawyers are very careful abroad, because they are scared of being sued,” she explains. In the late-1990s, a client, who wanted to invest in newly liberalised India, sent Suri back to India and she opened a corporate law firm with another woman lawyer to assist her. “Back then, in some parts of the country, some big Indian companies did not have washrooms for women. Forget executives, some companies did not even have a female workforce. Corporate law is still a male bastion. Even now, I am often the only woman in a room of 18 men,” says Suri. Today, she has a wide array of clients, including Fortune 100 companies, banks, global MNCs, ports and defence companies working in India. Along the climb up, Suri has observed how law firms view women lawyers. Traditionally, corporate law firms, like big corporate houses, have been male-driven and male-controlled. “When it comes to women, attitudes are very compartmentalised. If a working woman wants to have a baby, it is up to her if she wants to tone down her work and let the organisation support her in a way that will be mutually beneficial. Let her make the choice,” says Suri. 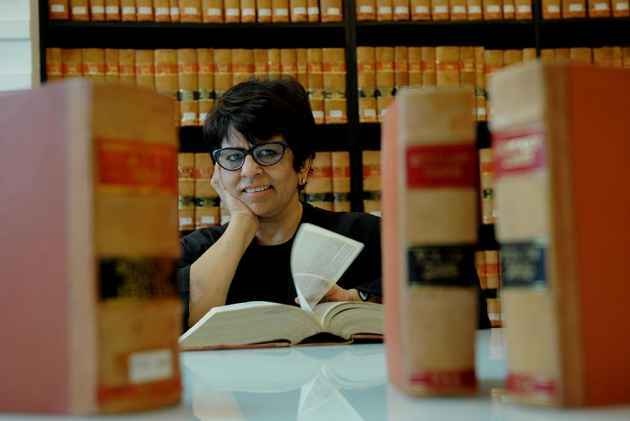 For her service to Indian women lawyers, Suri recently became the first Asian to be honoured by the American Bar Association the lifetime career achievement Mayre Rasmussen Award, given to women for attaining careers of excellence in international law and for promoting advancement of women in international law. Mody has the ear and respect of some of the biggest business houses in the country, including the Tatas, the Ambanis and the Birlas. A ‘name partner’ in the law firm of AZB Partners, along with Ajay Bahl and Bahram Wakil. Mody is a veteran of top deals by Indian businessmen, sometimes even towering over some of them in reputation. While clients may give her instructions, most trust Mody to negotiate the million- and billion-dollar acquisitions, mergers and partnerships. It is believed she doesn’t mince her words with clients—something Mukesh Ambani once att­ested to. During his big deals, Ambani reportedly found her easily available for advice. Her office, Chambers of Zia Mody, worked in litigation for around a decade before routine adjournments exhausted her. In 2001, she partnered with Vakil, whom she had met while working in New York. Three years later, Ajay Bahl & Co merged with them to make what is now AZB & Partners. This firm has reportedly led transactions such as Reliance Industries’ seven-billion-dollar deal with British Petroleum, Tata Motors’ $2.5 billion acquisition of Jaguar-Land Rover, Tata Steel’s $12 billion acquisition of Corus, Hindalco’s $6 billion acquisition of Novelis and many other big-ticket transactions. “Male clients were concerned if I could deliver results. Often I would be the only woman in the ­office,” says Zia Mody. “Be prepared for disruption and difficulties,” she advises young women lawyers. The pace hasn’t slowed down for Mody who has just pushed past 60. Her bedtime is just before dawn as she still works through the night. “The landscape is far more accommodating of women than it was 15-20 years ago,” she says. Her pioneering contribution to post-liberalisation corporate law practice is probably one of the reasons. The waiting lobby in the offices of Shardul Amarchand Mangaldas (SAM) in New Delhi looks deceptively deserted. On the floors above are some of the finest legal minds in the country. Beyond the reception area, other busy lawyers work quietly as their boss paces inside her office. A passing glimpse into this other woman law partner’s office in the firm shows her pacing in a cabin stuffed with bundles of paperwork stacked into a labyrinth across the furniture. It is clear that work on some massive deal is in progress—mere mortals will learn the details only after the dotted lines have been inked by the pashas of ­Indian business. Past the ground-floor hall is SAM’s creche, built for the children of employees. Up the stairs and past another 100-odd junior lawyers slaving over draft contracts and legal opinions, Akila Agrawal sits in her corner office of success. Watching her litigating-lawyer father in a district court in Coimbatore, Akila knew from kindergarten that she was going to be a lawyer and went on to graduate from the National Law School of India University, Bangalore, in 1999. “Transactional ­lawyers, male or ­female, are typically aggressive,” says Akila Agrawal, a pushy negotiator. Her first job was with Wipro, which she joined along with a female batchmate. “Finance and legal used to sit on the same floor, but there was no other woman staff member and the spacious women’s restroom became our private club. During offsites, they didn’t know what to do with us, because we were two young women who didn’t have a clue about socialising in a corporate setup,” laughs Akila. Two years later, she married her law school sweetheart, lawyer Gaurav Agrawal, and moved to New Delhi. “He was wedded to the Supreme Court before he wedded me, so I had to move here,” says Akila, who applied to ­Amarchand Mangaldas (before it split into two separate firms) and was immediately hired. At the time, Amarchand Mangaldas offered a three-time spike in salary along with a wardrobe allowance and a car loan that all new associates were eligible for. In 2008, Akila was promoted to salaried partner and an equity partner in 2011. She now leads a 15-lawyer team. “Stereotypes continue to exist, but people have become more politically correct in what they say. In my younger days, when we used to go to government departments, I was adv­ised to wear a saree to be taken more seriously. If I had a younger male associate with me, even if I was the one talking, the male government official would always direct all responses to the male associate instead,” says Akila. Akila has handled several prominent mergers and acquisitions, besides doing extensive advisory in corporate governance and SEBI-related matters. She has worked on some of the leading transactions such as Oracle’s acquisition of iFlex and GE’s acquisition of Alstom Power, in addition to assisting the government-appointed board of Satyam in its competitive bid. But the role of boss stays back in the office at the end of the day. “At home, I am very pliant. If the test is who has the TV remote in their hands, I never do,” she laughs; but confides she would rather relax with Sylvia Plath’s The Bell Jar that she is currently reading. On a summer afternoon in 2006—during the height of the real estate boom in India—a senior executive of a mid-sized property developer company walked into the offices of a law firm in New Delhi. Climbing to the second floor, he found it almost empty since several of the lawyers were still in court. “Where are the lawyers?” the senior executive snapped at a young woman—the sole occupant of the floor. He didn’t notice she was finalising the very contract he was there to collect. Two job changes later, the same young woman, Seher Ali, is now a salaried partner in the law firm, Tatva Legal. “In ‘corporate’, sexism is latent; in litigation, it is blatant,” she says. Faced with patronising men, Ali is not sure if it was age or gender that prompted such behaviour. Someone even suggested she wear glasses to look older. “If I went with a male junior to a client, some would assume he was the senior—until the junior would look sheepishly at me when the client asked a question,” she says. “If I went with a male junior to a ­client, some would ­assume he was the senior,” says Seher Ali. Despite the lineage, she did not consider law until she had finished her graduation. Assisting her father with some corporate law research, it hit her that she liked it and enrolled for law school. From there, she went on to work with a smaller law firm, followed by Dua Associates and, when Tatva Legal broke away, she went with them and was made a partner in 2014. Though she still goes to court on occasion, her focus is on general corporate law practice—advising clients from big pharma and real estate firms and guiding companies in project finance and private equity. The career-life balance became manageable thanks to a family support system. “My firm was also quite understanding and supportive,” says Ali—something similar to what Mody said about strategically building a space within the firm. “I still keep long hours when ­required, but I make sure I am there for the important events such as ­on-stage performances and ­parent-teacher meets,” says Ali, ready to resume work after being on matern­ity leave for her second child.